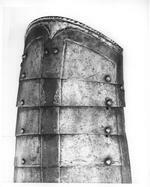 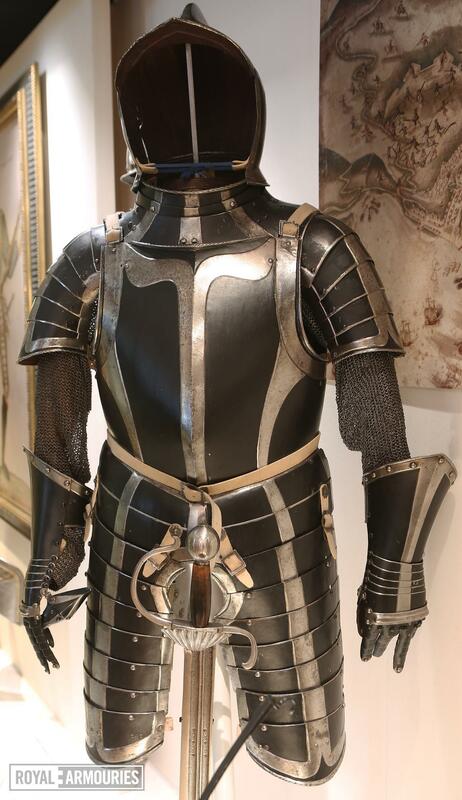 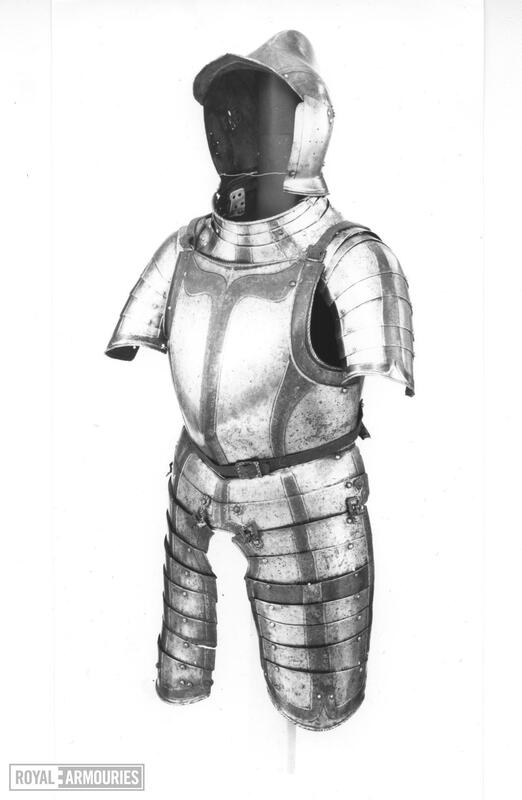 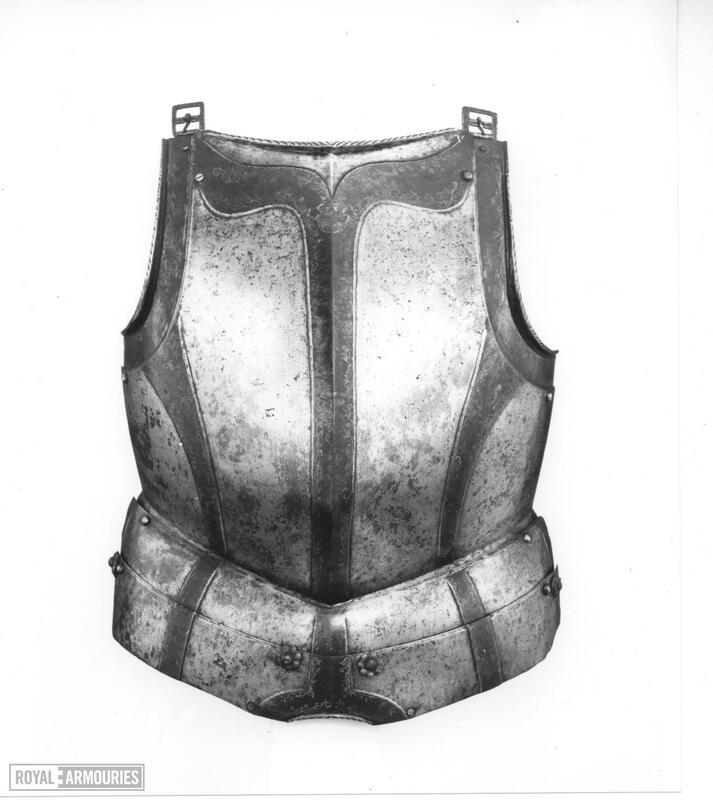 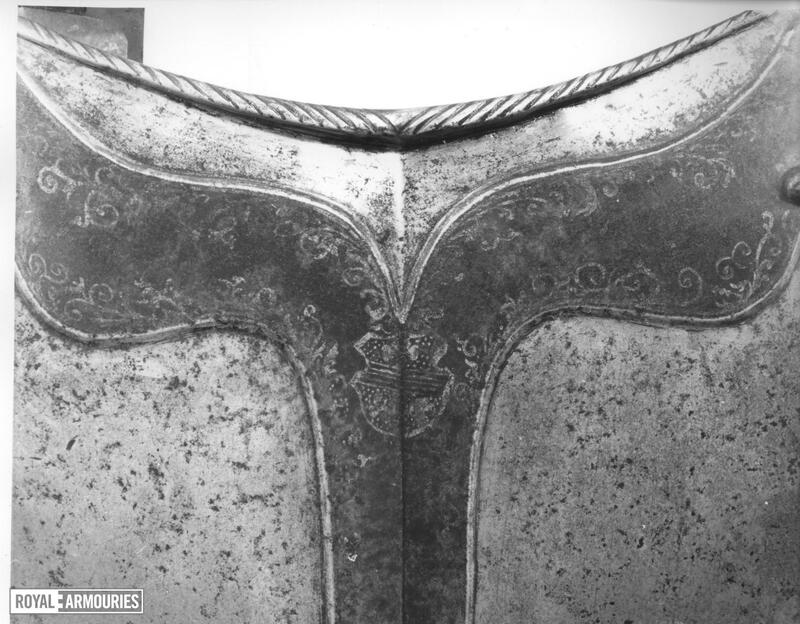 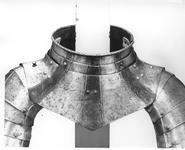 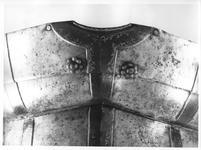 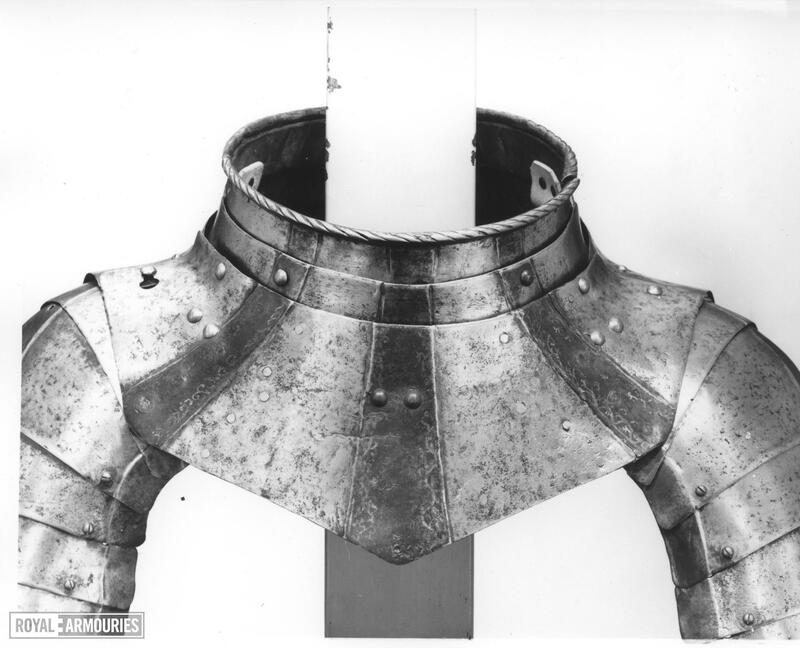 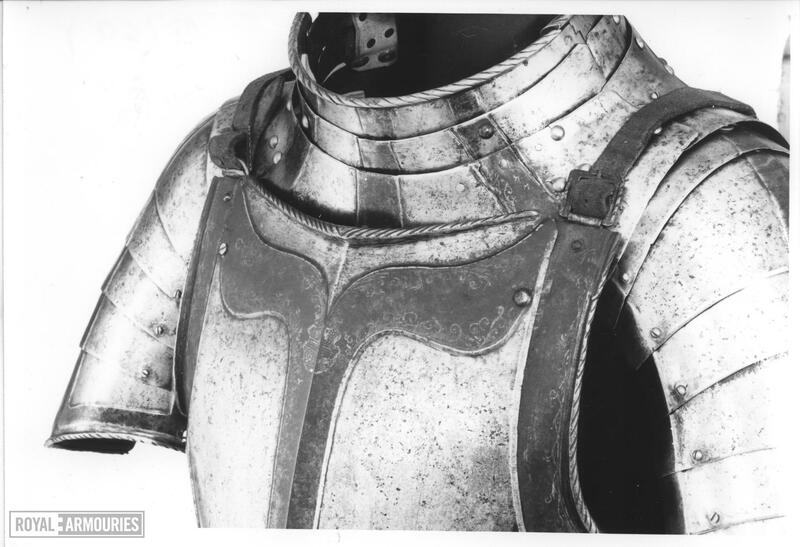 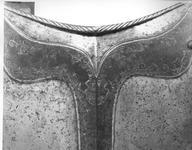 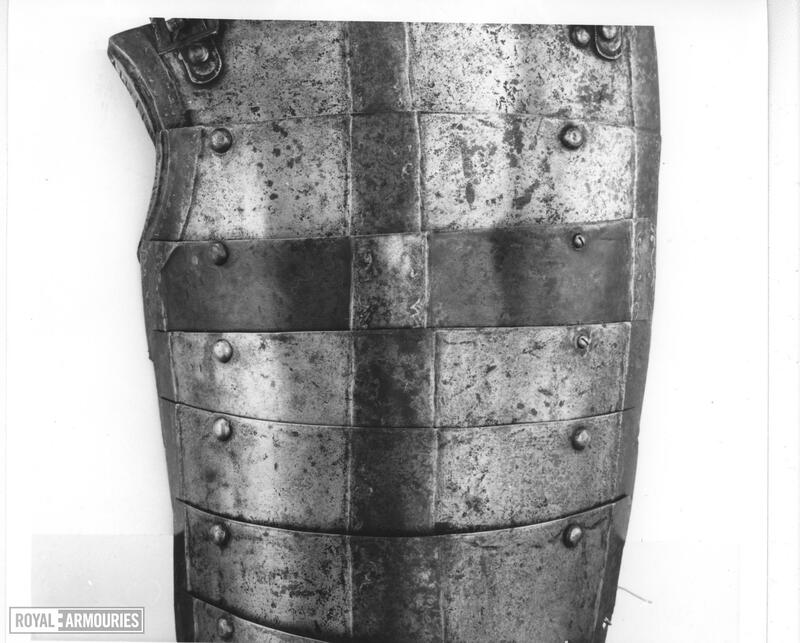 Consists of burgonet, breastplate, backplate, 'Almain' collar with permanently attached pair of spaulders, pair of mail sleeves (III.30 and unnumbered sleeve), pair of tassets, and pair of gauntlets. 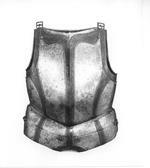 Dimensions: Mounted height: 1190mm; width: 670mm; depth: 360mm. 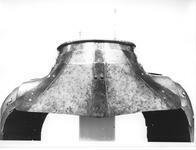 Current mount height: 1760mm.